New for the Fall 2019 AIChE Annual Meeting & Student Conference: ChemE-Sports™: Distillation Operations Competition. When: Sunday, November 10, 2019. Next Dinner Meeting - Monday, April 15th at the Pfizer Building. Venue. Pay Now. Date: Monday, April 15th at the Pfizer Building, 235 East 42nd St., New York, NY. Topic: Green Pastures — A Fresh Look at (Traditional & Non-Traditional) Career Opportunities for Chemical Engineers and Biomolecular Engineers. Download Presentation. Abstract: The scope of career opportunities in chemical and biomolecular engineering continues to evolve, with graduates in these two dynamic fields able to pursue intellectually satisfying and lucrative career opportunities in a wider-than-ever array of both traditional and non-traditional industry sectors and positions. Today, the potential career pathways available to such technical professionals continues to grow in a number of industry sectors — and not only for recent graduates, but for working engineers who may find themselves bored or burned out in their current position, or pigeonholed in terms of forward career momentum. 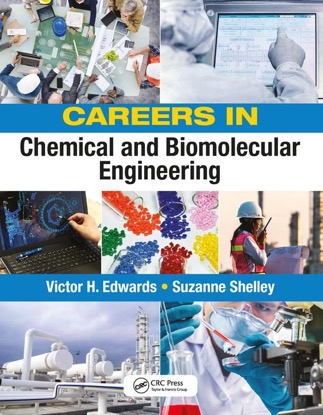 In her presentation, our April Speaker, Suzanne Shelley, will discuss many of the conventional and emerging career pathways that are available for today’s chemical and biomolecular engineers, drawing insight and anecdotes from her recent book, co-authored with Vic Edwards: Careers in Chemical and Biomolecular Engineering (CRC Press/Taylor & Francis, 2018). This 180-page book includes ten chapters (detailing the various industry-specific opportunities for chemical engineers), and in-depth, first-person narrative profiles of 25 distinguished chemical and biomolecular engineers who are currently working in (or recently retired from) a broad array of industries and job titles (a diverse group of male and female, older and younger, black, white, Hispanic and Asian engineers). The collective wisdom that can be found from their storied career experiences, triumphs and challenges illustrates the inherent flexibility of the profession, and the many different types of lucrative opportunities that are available to those who possess the unique knowledge, skills, intellectual rigor, and problem-solving capabilities that are hallmarks of those holding degrees in chemical engineering and/or biomolecular engineering. Today’s chemical and biomolecular engineers are on the forefront of efforts to meet society’s big, global challenges, related to clean air and clean water, food security for a growing population, the discovery and commercial-scale production of lifesaving medications, the pursuit of advanced materials, sustainable fuel options, and energy sources that reduce our dependence on fossil fuels, and so much more. Bio: Suzanne Shelley is a New York-based freelance technical writer and editor with more than 30 years of experience in the global chemical process industries (CPI). Since 1989, Suzanne has been an Editor at Chemical Engineering magazine — first serving 17 years as a full-time Editor, including five years as the magazine’s Managing Editor (2000-2005), and then serving another 14+ years as a regular freelance Contributing Editor (a role that continues today). During her full-time tenure at Chemical Engineering, Suzanne also launched two spinoff (sister) publications — Environmental Engineering World (for which she served as Executive Editor for all 21 issues, 1992–1996), and ePlant (for which she as Managing Editor for all 7 issues, 2000–2001). Since 2005, Suzanne has been Principal/Owner of Precision Prose, Inc., through which she provides freelance technical writing, editing and ghostwriting expertise to numerous publications, companies, consultancies, and public relations and marketing agencies in the chemical process and pharmaceutical industries. 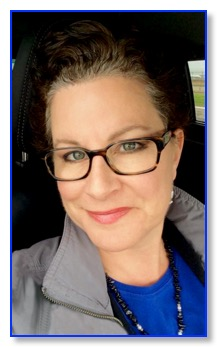 Since establishing Precision Prose in 2005, Suzanne has been a regular freelance Contributing Editor at both Chemical Engineering and Pharmaceutical Commerce magazines, authoring and/or editing articles in most issues. She is also the co-author of the book: Vic Edwards and Suzanne Shelley, "Careers in Chemical and Biomolecular Engineering," CRC Press/Taylor & Francis, 2018. Book Details. When: Monday, April 15th, 5:30 - 7:30 pm (5:30-6:30 pm: Registration, Networking & Buffet Dinner; 6:30-7:30 pm: Program). Reserve now. Final Deadline to register: Thursday, 4/11 at 4 pm ET. Reserve Now. Student Registration. Students: Undergraduates - free for all undergrads. Seating is limited, so please register early. How to Register.